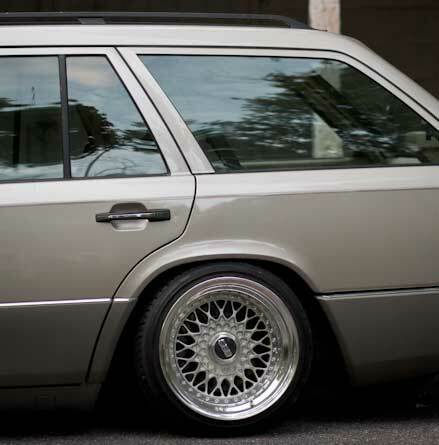 This W124 Mercedes Benz E320 Estate is dumped on a set of Custom set 16″ BBS RS. The whole car has a nice clean classy look with the two tone color combo and the polished wheels. This Benz Wagon is Nice and Simple. Rear Shot, a little bit of poke, its ok… Bye!